Since we are on the subject of Soweto 1976, and since last week Madiba (Nelson Mandela) gave us a scare, I decided to publish the song ‘Asimbonanga’ by Johnny Clegg. 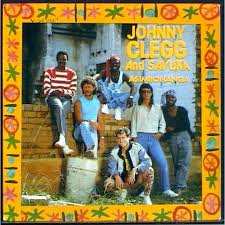 ‘Asimbonanga‘ or ‘We have not seen him’ was released by Johnny Clegg and Savuka, in the album Third World Child in 1987, and called for the release of Nelson Mandela, and also gave homage to three martyrs of the anti-apartheid struggle: Steve Biko, Victoria Mxenge, and Neil Aggett. 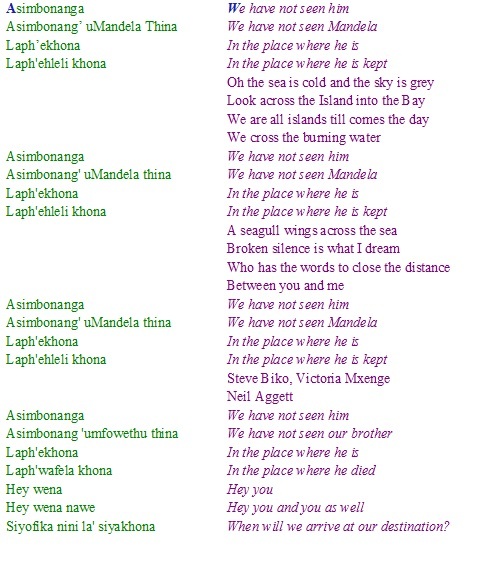 I have posted the song with lyrics below (translation of the Zulu words to English is in italics). Enjoy, and don’t forget to visit Johnny Clegg’s website: johnnyclegg.com. « Soweto 1976 and Marikana 2012: any similarities? It was hard for me to find your blog in google search results.